The Washington Unemployment Insurance poster has been updated to reflect a change when filing a claim via phone. A claim for unemployment benefits can be made via phone on Wednesdays and Fridays from 8am to 4pm. 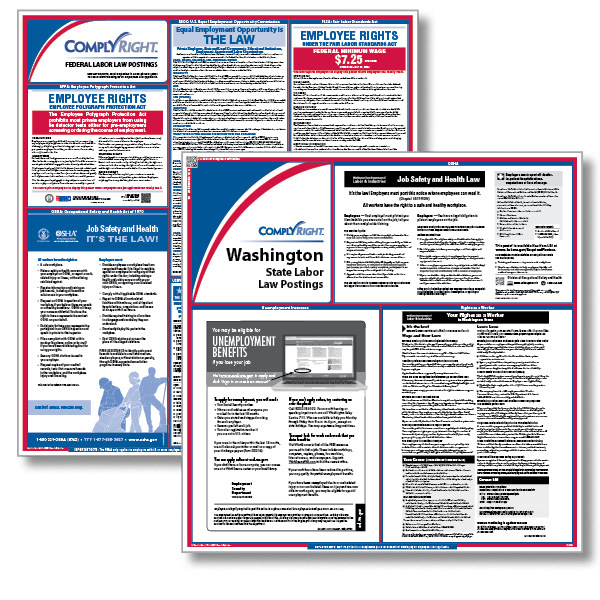 The Washington OSHA poster has been updated to reflect clarification regarding employer's obligations and how an employee may file a discrimination complaint online. This is a mandatory change. The Washington State Workers’ Compensation poster for Employers Insured through the State has been updated to reflect that a registered domestic partner may also receive a pension as a death benefit if a worker dies. 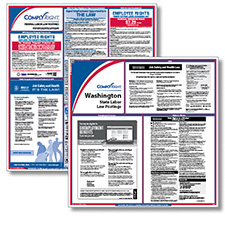 The Washington Workers' Compensation poster was updated to reflect additional healthcare providers qualified to treat work-related medical conditions. The poster was also reformatted. This is a mandatory change.